Brett Kavanaugh formally took his seat as the 114th justice at the traditional investiture ceremony at the Supreme Court Thursday morning. There was, however,a difference in the way the event was handled. The court said that because of security concerns, Kavanaugh would not walk down the court’s long outside staircase with the chief justice. President Trump and first lady Melania Trump attended the ceremony. 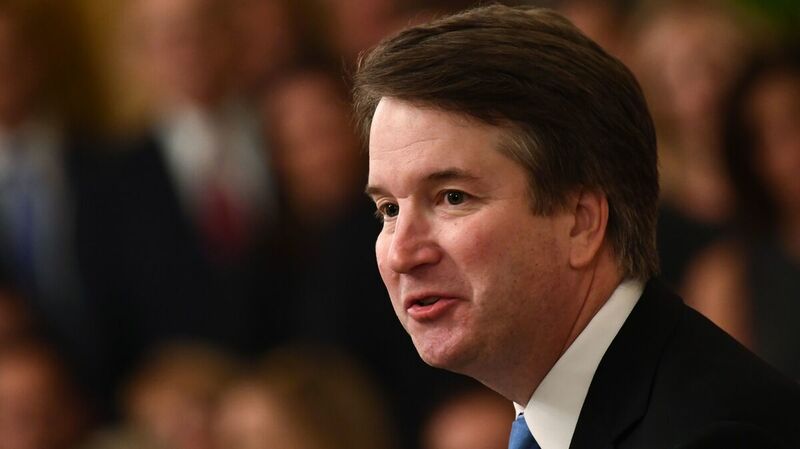 Kavanaugh was confirmed October 6, by a 50-to-48 vote, the closest vote for a Supreme Court nominee since the 1800s. His dramatic confirmation process drew protest after he was accused by of sexual misconduct while he was in high school and college more than 30 years ago — charges he fiercely denied. Justice Ruth Bader Ginsburg was absent from Thursday’s ceremony. She is hospitalized after falling in in her office Wednesday night.